Finished! 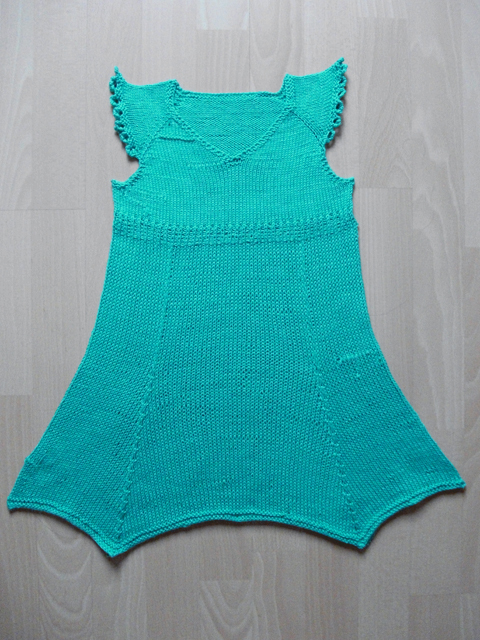 The knit dress in Catania is finished! As I mentioned before, the dress turned out a little smaller than I had hoped. The chest size is only 57cm, while I had hoped for 61cm. Therefore I also compensated in the length and knit to 51cm. You can see a couple of sloppy areas, especially where I had to begin a new ball. But all in all it looks pretty good! Measurements: Chest: 57cm, length: 51cm. According to the pattern this is between 3 and 4 yr.